Below are some of the most common questions that we get at Aeon. If you have any additional questions, don't hesitate to contact us at info@aeontours.com. I don't have PayPal. How can I pay for my tour? Can I reserve a spot if I'm traveling alone? How do you choose your tour guides? Do your tour guides accept tips? What if I want to book a tour for tomorrow? Is it too late? Can you give a private tour to my entire travel group? What is Aeon's cancellation policy? Can I get in touch if I have another question? How do I purchase my entry ticket? Easy! Simply head over to our Book A Tour page, and select the tour you're interested in taking. Once there, you can select the date you'd like, and start the booking process. The entire booking process should take less than 5 minutes! It's quick and simple. You don't need a PayPal account to pay for your tour. PayPal is simply our payment gateway partner. If you don't have a PayPal account, simply book your tour and follow the prompts. When you arrive on the PayPal login page, scroll down the page and you will see an option to "Pay as a Guest". That option will allow you to make payment with any major bank card; no PayPal account necessary. All of our tours meet in central, easy-to-find locations. As soon as your tour booking is confirmed, we send you an automated email that includes directions to your tour's meeting point and a detailed map on how to get there. At Aeon, we are committed to making your tour experience as easy and hassle-free as possible. 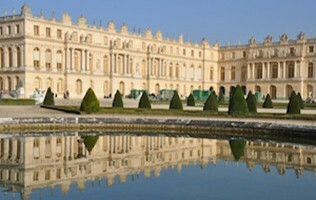 Our Paris Tours start times vary according to route. Most tours last anywhere from 3 to 3.5 hours. Our payment options are flexible, and designed to make your checkout as easy as possible. Once you've reserved your tour, you'll be sent to our checkout page, where you will have the following options to pay for your tour: Visa, Mastercard, AmEx, Discover, or your bank card. To learn more about how Aeon and our payment partner, PayPal, are committed to guarding your privacy, please visit: www.PayPal.com. Absolutely! If you're interested in booking a spot for just one person, simply send an email to reservations@aeontours.com and tell us what dates and the tour you had in mind and we'll fit you into one of our open tours. All of our tour guides are true inhabitants of Paris. And it takes a little bit of everything to make it as an Aeon guide - our guides are historians, architects, painters, writers, even actors! And they all share their undying love for the City of Lights. Our guides are happy to share their insight into what makes Paris so special to them. Feel free to ask them where their favorite bakery is, or where they get the best espresso in Paris. In fact, feel free to ask them anything you want about Paris because they love to chat about their city. 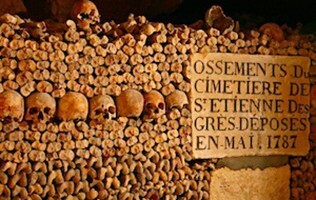 Tips are much appreciated by our tour guides, but are certainly not required. We are happy to let you know that, no matter how inclement the weather might be, our tours go on. Your time in Paris is limited, and we understand that. If you're ready to explore Paris, so are we! Of course not! If you'd like to book a tour within 24 hours and can't find an open one on our Book A Tour, simply send us an email at reservations@aeontours.com and we'll work to fit you into one of our tours. Certainly! While you cannot reserve a group larger than 15 through our bookings page, we can definitely accommodate your group with its own tour. Simply send us an email at reservations@aeontours.com and we'll work with you to create your tour. A written cancellation must be received via electronic or postal mail within 7 days of your tours departure date in order to receive a 50% refund. Please note that an email cancellation may not be acceptable. Cancellations received after that point will not be refunded. We will make every effort to reschedule your tour for you if you are unable to travel to Paris during your originally planned dates. If you're calling from within the United States +1 (617) 652-0494. You can also reach us 24 hours a day, 7 days a week by email at info@aeontours.com. There is no need to purchase your entry ticket ahead of time. Depending on your tour, your guide will either have your entry ticket or s/he will simply help you make your purchase on the morning of your tour. You may simply reimburse your guide for your entry ticket directly. 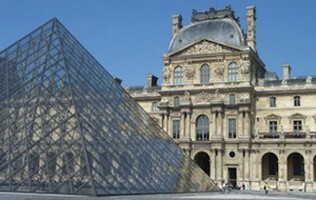 Explore the famous works at the Louvre, including Leonardo da Vinci's Mona Lisa, Venus de Milo, and the Victory of Samothrace.